The Chubb Building on Woodbourne Avenue is the first in Bermuda to be twice recertified as LEED Gold by the U.S. Green Building Council, the company announced today. “LEED, or Leadership in Energy and Environmental Design, is a green building certification program that recognizes best-in-class building strategies and practices,” Chubb said. “The Chubb building first received LEED Gold certification under the Existing Buildings: Operations and Maintenance rating system in 2011. “In 2017, the building was recertified when Chubb became one of the first companies in North America to use the LEED Dynamic Plaque to manage the building’s environmental performance. With its latest recertification, the Chubb Building received a LEED Gold score of 72, up from 70 two years ago. “The LEED Dynamic Plaque, which is on display in the building’s main lobby, calculates and displays the building’s performance data on a 100-point scale across five categories: energy, water, waste, transportation and human experience. “Other green initiatives that contributed to the recertification include: installing energy-efficient LED lights, creating an electric car charging station, conducting an annual trash audit, implementing programs to further reduce waste and encourage recycling, and initiating a weekly farmers market. Colin Brown, Vice President of Facilities and LEED project manager for Chubb in Bermuda, said, “We were proud in 2011 when our building became the first on the island to earn LEED Gold certification, and we’re proud that our continued initiatives to further reduce energy use, enhance efficiency and make the building a more comfortable place to work have earned two recertification. An important objective of Chubb’s environmental program is to measure, record and reduce greenhouse gas [GHG] emissions in the company’s own operations. From 2015 to 2017, Chubb reduced absolute global GHG emissions by 11%. The company will continue to deploy successful approaches for GHG emissions reduction, including installing energy-efficient lighting and equipment and increasing utilization efficiency for office space. 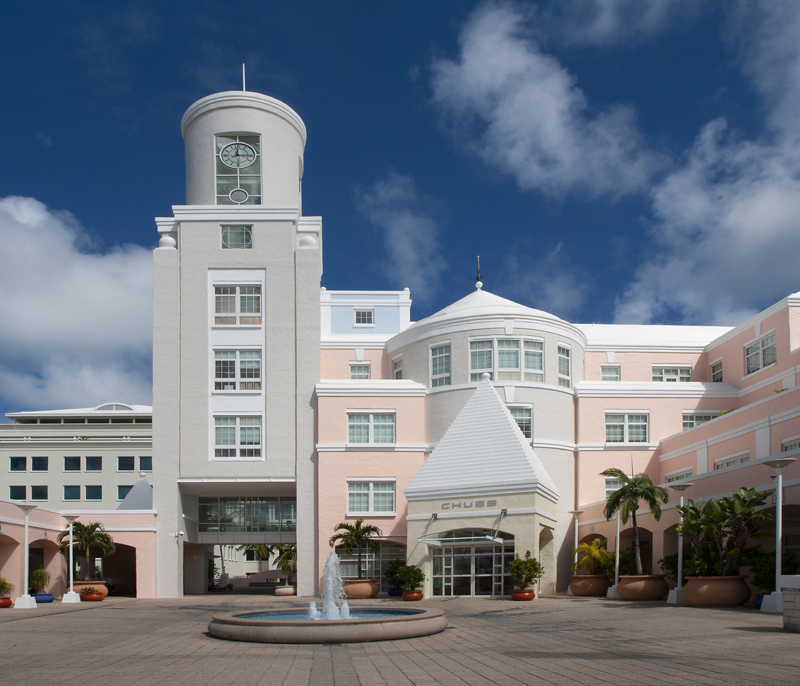 In addition to earning and maintaining LEED Gold certification, the Chubb Building received the Bermuda National Trust’s Environmental Award in 2015, as well as for Honorable Mention in the 2015 Greenrock Green Workplace Awards.